Work for Veeam Availability Suite? Veeam design for non technical can operation system. with veeam backup, we do not lost more time for system. Use Veeam Backup & Replication to protect up to 10 VMs, cloud instances, physical servers or workstations. Can protect your production environment. Cost. If I had to come up with a con it would be the cost. Veeam isn't cheap. But then again, I think the stats are something like 40% of businesses who lose most or all of their data are out of business in less than a year. Compare the cost of Veeam to the cost of losing your companies data and it won't seem that expensive. Restore: easy and simple, downtime really less more than before. The assurance that the possibility of a total loss of my data is as close to zero as it can be. "A trusted Enterprise Solution that just works." Veeam Availability Suite is a great product that is relatively easy to install. Works as advertised and keeps getting better as new features are added. I would like to have CDP included in the replication module. Additionally support for CIFS. Both of these features have been promised and are on the road map but have yet to find their way into the product. Veeam has saved my bacon more than a few times. The backups work well for both Windows based and Linux based VMA;'s. I have yet to find a situation where a recovery hasn't worked the way it is supposed to. My team rely on Veeam. I have used other solutions but none have worked as effectively as Veeam. The reporting functionality of Veeam One which is included in the suite is great as well. "Veeam Back and Replication 9.5 review"
Very helpful license / sales team in Australia. Veeam Backup and Replication is easy in configuration. It is very easy to manage due to user friendly interface and hints. Veeam online KB is large and has everything you need when configuring or Troubleshooting. Awesome customer support team in Australia. Would be grate to have L3 support in Australia in addition to overseas L3 team. Same is for licensing. Any license change can be done by License department in Romania and/or Russia whereas Australian licensing team can only advise / invoice you. Veeam excels at providing solutions for customers looking to re-utilize old hardware or other cheap bulk storage options. Also great for setting up in a pinch as no long term commitment is required. Given you have the hypervisor credentials you can be up and running with Veeam backups in under and hour. Configuration is simple and straightforward, you control and own the process. The various Veeam packages and options can be slightly confusing, the licensing model and what tier you actually need can be less than clear. Would not recommend for long term usage unless backup copy or offsite replication is configured. Great for establishing Day 0 backups for a client that needs them ASAP. Zero upfront cost in software and a management PC has very little hardware requirements. "Nearly a fire and forget solution"
As with anything, there's a bit of a learning curve depending on the complexity of your environment, what you're backing up, how, to where, and over what infrastructure. However, if you either built your environment or have worked with it enough to know exactly how it's laid out, the initial configuration is pretty straight forward. The thing I love most about Veeam is that once you have it set up correctly and it's working as expected, you pretty much never have to touch it again. Old restore points will roll off so you can project storage usage, that sort of thing. And if Veeam ever "breaks" it's almost guaranteed to be because something in your environment changed that broke it, not Veeam itself. I have used Veeam for years now and would never consider another backup solution for critical business and accounting data. Cost. If I had to come up with a con it would be the cost. Veeam isn't cheap. But then again, I think the stats are something like 40% of businesses who lose most or all of their data are out of business in less than a year. Compare the cost of Veeam to the cost of losing your companies data and it won't seem that expensive. That's how you need to be thinking about it, in which case Veeam is a no-brainer. There's a reason Veeam is arguably the #1 name in DR. The assurance that the possibility of a total loss of my data is as close to zero as it can be. It is much more straight forward to setup and there are less issues than our previous backup software - great for backing up all the vm's on our VMware esxi infrastructure. I need to buy a seperate agent licence if i want to backup just specific directories on a vm and not drives or the whole vm. I would recommend veeam as it will save you a lot of time fixing issues of other backup software. The incremental and full backups take up less space than our previous backup software so we can restore from disk for a longer time period and rarely need to request backup tapes from an external storage company. "Simple, Straight and Easy to implement, manage, Restore"
4. Easy to move the data from one repository to another and map them back. 1. Larger environments have problem with performance as we had faced issue. 2. Support is not quick in terms of providing the solve the issue. Veeam is a best tool to set up your Backup environment. Monitor the Hyper visor environment and setup a Replication for DR.
"Perfect backup and replication solution for Hyper-V business environment"
We like absolutely everything about Veeam, it's extremely easy to deploy, extremely easy to use and extremely easy to manage. It always work and never fail. For an IT administrator like me, this product is the most "worry-free" software solution of my entire IT infrastructure. When I need to recover datas from backup, Veeam is always here to help me. We are totally amazed also to see how the data-deduplication and compression features inside Veeam are powerful because it decreased backup and replication times a lot! The integration with Veeam Cloud Connect (online cloud storage) is also amazing and definitely fits ours business needs. We don't have much to complain about Veeam, the only thing we currently have problem with at first deployment is that the software is do huge on ressources that if you don't set throttling rules/schedule, you can completely drain all system ressources of the entire servers infrastructure during backup and replication sequence. Veeam products are outstanding and the quality of the company's support makes it the perfect solution for backup and replication in your organization. We formerly performed backup using a file copy level script, which is very slow and long because it have to compare all files. Now with Veeam we have 10x more efficient backup as it's working with block changes tracking. We also gained a way longer backup retention period because of the amazing features of deduplication and data compression. "Great product for VMware disk to disk backups." How fast the nightly backups take. The ability to not backup deleted files on a file server is huge! Fast restore options as well make restoring files or full servers very easy and fast. Also the interface is easy to maneuver once you get it down. I really cannot think of a better option to backup our environment. A little steep learning curve if you delve into the more advanced features. Still the product delivers especially when running in a virtualized environment. Newer versions of Veeam let you bypass deleted files. Make sure you select this option because it can save you lots of space when backup up a file server. Backup of mission critical data is crucial knowing we can be backup and running in hours should a catastrophe happen.. We can backup more in less time with Veeam. Setup is easy and you can set up to 48 points of replication, which is great for our time sensitive systems that process money. Getting a system back up and running when the original VM has failed is also easy, and makes everyone's life SO easy. I haven't found a way to push backups (full backups) to AWS or Azure yet via a plugin that exists somewhere, but I can't find it. It would be nice if that plugin was easily available. Figure out how much data you can lose, and make sure you spread out your replication points to meet that need. We do about every two hours, but only so we have a longer replication history to go back to. We have several high up time servers that can't be down...ever. Veeam allows us to quickly and easily get our setup back up and running in the event of a catastrophe. We have had to use it twice in the 3.5 years I have been here, but not since we upgrades our back end. One thing we realized our first time was that we weren't setting enough replication points, which changed rather quickly once we realized this. "I have been using Veeam B&R for a year "
Infrastructure management for the physicaly server and virtual like clusturing structure (Hyper-V) is very simple.. I recommend to use Veeam A.S for IT workers who need to the new backup software or who want to get best performance.Beceuse Veeam A.S is using backup data efficently on the storage, it has user friend interface and Restore operations faster than many others..
1- The most important that; Backups take up less space than many other backup softwares so You don't need to get new external storage in a short time. 4- When You need do restore operation from the repository it doesn't take long time. "Veeam Just Works, And It's Quite Refreshing"
We have had Veeam for almost two years now, and it has been nothing but a joy to use. The interface is clean and simple, the recovery process is easy and fast, and the server-side client gives you more than enough tools to effectively manage your backups and endpoints. Even for bare metal restores, the process is very simple. In under an hour, your dead computer is completely restored, as if nothing ever happened. This does require some effort on your part though, as it is up to you to create the recovery media needed for bare-metal restores for each end user. However, once everything is set up, you generally don't have to worry about it. Another element of Veeam that sets them above the competition is their support. There is a cost to access their premium support, but it is well worth it. They are there when you need them, and are very knowledgeable about their product. They will get you up and running again very quickly. Overall, this product is outstanding, we will continue to use them for years to come. We are now looking into their offsite cloud solution to host our secondary backups as well, and I am sure that their quality will not falter even when hosting our data off-premise. I have heard that this may be coming out in a future update, but there is still no centralized management for end user workstations. That means if you need to update the settings, or change the back-up destination, time, or time-frame, you have to go to the actual computer and update it there. It's not a big deal if you don't change your settings often, but it can be a hassle when you do. Try it out. You will be glad you did the first time you restore a completely broken computer without issues. Endpoint, server, and VM backups. Plain and simple. The best thing about Veeam is the ease of use. The interface is simple, but also very powerful. On the end-user's computer, the agent is very simple, and does not contain too much information, whereas, on the client-side, the reporting tools hold a huge amount of data that you can mine for information on your backup architecture. "Worthwhile investment for small to medium sized companies!" 1. Ease of use - Compared to previous systems, Veeam has the best GUI and it's easy to get comfortable with the product. Training new users on it is a breeze. 2. Speed - We are enjoying the backup speeds compared to similar products, and having it work so effortlessly makes it easy to schedule jobs. 1. Support response time could be faster. We had a long running quirk since 9.5 update 1 that took two months to make any progress on. We have it working correctly now, but there's still a configuration that we can set to trigger this problem again. Support also seems to be in non-US time zone(australia I believe,) so you'll hear from them at the beginning of the work day and maybe once again at the end of the day. Research options in storage to accompany the Veeam Suite. HPE StoreOnce appliances are nice, but they add an additional layer of dissection when it's time to solve a problem. Having offsite replication set up using change block tracking saves a ton of bandwidth and gives more resiliency in the event of a disaster. WAN accelerators further speed up our replication jobs. Tape jobs can utilize one stream per drive for awesome speed as well. All of this combines into a platform that saves us a ton of time and resources that our previous solution did not. "Veeam Backup & Replication 9.5"
Veeam Backup and Replication is easy to use, performs flawlessly, and support is excellent. The interface is intuitive to use. I have not needed to use support too many time with this product because of the ease of use and how well the product performs. Response from support is fast and questions are answered quickly. They do their best to assist you whenever it is needed. The application and ongoing support costs are a little pricey, but in this case you do get what you pay for. It is worth your time to investigate this product. Free trials are available. The ability to backup Vmware VM's as well as using an agent to backup physical servers or encrypted servers and have the ability to restore down to the file level. Monitoring is easy. Backups work consistently. Restoring is easy and fast. "Veeam is probably the best, most comprehensive, and easy to use Backup and Recovery platform!" The performance of hot-add disks during backup and/or replication sometimes isn't the greatest, but much of that blame is actually on the storage. I do find that occasionally my jobs take longer than they should and don't update their progress bar unless I leave the job and come back. I also don't like the fact that very rarely, when a job falls apart it can fail to remove the snapshots and leave way too much of a footprint on your datastore(s). It's probably going to be tough to beat. They just introduced a Linux agent too, which will help plenty of people. I plan to deploy it on my Linux guests within the next 3 to 6 months to gain file-level granularity and exclusions, etc. We use Veeam for VM backups and replication to an offsite datacenter. It allows us to have pretty good confidence in the quality of our backups and replicated VMs. "Veeam Suite Makes VMWare easy"
The license key model lagged behind the integration of the two products, so every support renewal it was a major hassle to convert and apply the license keys to the VeeamOne and Veeam B&R products. I think that has been streamlined now. Use Exagrid backup appliance with the Exagrid integrated repository type. Reliable and improved RPO and RTO for business critical servers with backups integrated with Exagrid dedup appliances and Replication to DR site using Veeam. With replication, I can have a cold standby for all critical servers at the DR site that can be spun up within minutes of a failure. Ease of use. Simple to deploy. Outstanding support in case of rare issues. Ability to create test environment from existing backups very easily. Features like integration with existing storage vendors. Also the product automatically checks for backup integrity by using Surebackup. In case of any rare error, simple messages are shown which will help anyone to find what caused the issue. Delay in implementing physical server backup integration with existing products. Like deploying veeam agents with existing console etc. Always look for a vendor that has good support. Try the product before you make an investment. You will find Veeam much easier to work with. An excellent return on your investment. No need to invest in additional resources for dev environment. Can leverage backups. "Veeam as a Backup Solution"
Veeam is a great backup solution, its system is completely different from the current we have because it provides lot of options, and it gave us a lot of options to work in the backup and restore process. Veeam is a great backup solution, its system is completely different from the current we have and it gave us a lot of options to work with the backup and restore process. We unfortunately couldn't keep working on that, but in the near future we hope to try again with this backup and restore solution. ""The only" choice for virtual machine backups"
So easy to setup backups, replicas and copies. Takes no time at all to ensure you are fully covered for both backups and disaster recovery. Expansion of the solution to tape archiving or replicas remotely is a doddle and if there is any issues, you can get through to a fantastic support team in no time and they work hard to get you sorted and backing up again in no time. Taken a little time to get access to the physical server backup aspect, so we can have all backup under one roof. Its still in its infancy but seems to be going in the right direction. Ensure you plan out your backup strategy and storage requirements carefully... this product is excellent and you can recover quickly from any issue but if you have chosen cheap backup media (IE slow or manual rotation) then you could delay your team inadvertently. This was implemented as a means to ensure that our virtual platform was covered with backups and replicas, to meet the need for continuity and recovery from any eventuality. It as done that quickly and easily. "Better more manageable backups in a shorter time-slot"
The interface is intuitive and well laid out, everything is explained well and the help resources are second to none. Support is great and very responsive. The minimal issues we've had have been resolved very quickly usually on the first contact. The only dislike I have is the way licensing is handled, their licensing portal could use some work as keys and downloads are kind of a pain to get to. Backup of 90+ VMs in under 4 hours. Competing products didn't come anywhere close. "Most versatile backup product on the market today"
I guess if I had to pick one thing it would be the ease of use. Veeam's software product has come a long way in a short time. Every version they release gets easier and easier to use which makes administration tasks simple. I don't know if there's anything specifically that I dislike. When it comes to IT products, they often can't predict every environment. I guess maybe they can work on reading minds. Set up a test environment and go through their trial. Ask LOTS of questions and make sure to utilize their support. Everything from start to finish is top notch in my opinion. Their KB is good, but their support is MUCH better. They're responsive, consistent, and helpful all the way around! VM backup of hosts, clusters, and s2d clusters, along with vSphere. Seems to do everything really well. "Great for Daily/Hourly Backups and Disaster Recovery"
I use it to Replicate working copies of my VM's to Onsite and Offsite Hyper-V Servers. I can use these Replications to restore a file, entire VM, or run my replicated VM's from the backup Hyper-V server in the event my main Hyper-V server goes down. Having a Hyper-V server offsite with exact running copies of all my VM's give me a disaster recovery location I can run my entire network from. And since it only copies the changed files I can relocate in minuets not hours. When a replication fails it take some work to get it working again and has everything to do with volume shadow copies completing correctly or as I see it opening and closing correctly. Also there are times if a replication fails it doesn't clean up the failed files before trying to start the next replication. I had to learn how to clean up failed VSS writers and bad VSS Checkpoints. You find anything that will get you up and running instantly with working VM's that does require special software to do it. 2 = If disaster strikes our main location I can run everything at my backup location within hours. 3= I can mount the VM and get any single files I need out of it. 4= I can setup hourly, daily, weekly, or Monthly replications because it only moves the changed data. I can sleep at night knowing my employers data is safe. The ease of access and configuration. Setting up the console and server was very simple and fast. The GUI for creating jobs is precise and tells you everything that you will need to know. Editing and running jobs is as simple as a one click. Veeam is pretty much fully automated to run at when I need it to at down times with little to none service disruption to our customers. Forums not always helpful with answers. When some of our jobs have failed, the error codes never really help when it comes to figuring out how to fix it. Forums are a mess with a bunch of people with the same error but always there seems to be 40 different ways to address the solution. Think about integrating a Cisco 3X60 server solution to work with Veeam. Together, those products make the implementation and administration way easier on all fronts. Solving our need for backup and replication of all of our physical and virtual machines. "Keeps getting better in 9.5"
Veeam as a backup product is fully featured and reasonable fast. Support has been very responsive and knowledgeable in resolving any issues. The 9.5 release has increased my backup speed by over 75% compared to the 9.0 release and their various best practice guidelines have allowed me to gain even more performance. SureBackup takes awhile to configure, but being able to view my backups being restored into an isolated environment and ensure they boot allowed me to feel even more comfortable that the solution is sound. General file backup and disaster recovery are both covered by Veeam. Our typical restore scenario is a file corrupt or missing and needing it restored, but sometimes an entire VM is needed to be restored, which only takes a few minutes. "Veeam helped me to do my office migration." I can create VM replication in another location with different VCenter. It Connects with VMware and check all the VMs I have in my environment, it helps to maintain all my VM backed up. The new feature of Scale'out backup repositories is one of the best improvements because due to the limitation in VMware of having virtual disks up to 2 TB on version 5.5 forced me to create several disks then several repositories been a headache to manage backups Vs repositories. In addition, if I had a VM with more than 2TB on data, it was even more complicated. I couldn't improve the replication speed adding more proxies, even if I had a big bandwidth. Veeam should have a web interface manager once the server is installed. Missing the possibility to limit the amount od memory RAM used by the application, sometimes it goes to the top even using the pagefile. I get several alerts when the Veeam backup is running because it is taking all the page file and of course the memory RAM. Could be better to have better access to log to have easiest troubleshooting. Sometimes there is not enough information. Veeam is quite easy to implement even for a medium environment. Scalability is great, fro example you can add new disks to repositories by using Scale-out Repository. We had to migrate the office datacenter location. Veeam helped me to migrate all my VMs with not long down time. "Veeam - Availability in virtual environments"
As a client of the Enterprise version of Veeam, I can say quesin doubt there is a product that offers flexibility, simplicity, ease of use and speed with which the product has. The ease with which we were able to implement our company Veeam was really amazing. The product is really fast for both installation and general operation. We are really satisfied and not even think of another product. Also excellent including Veeam Remote Console, which allows you to work from my computer without having to connect the server through an RDP session. Nothing really. Only lack support pair backups of physical machines, but in 2016 vForum I learned that it will be incorporated into version 9.5 to be released Próximanente, therefore sun and totally complete product that lacks nothing. In my case, I have protected my entire VMware infrastructure Veeam. Besides being able to recover a VM in extremely short times, you can recover files from a particular File Server within minutes. In the case of SQL Server you can retrieve individual tables also within minutes. It really is a product that offers continuous protection and gives peace of mind to use. I love how it can give me everything in a single pane of glass. It's intuitive and works great for my job. It's great at finding problems we would have never known we had. It was very easy to set up and very easy for others to learn as well. Sometimes things can be a little slow when integrating with VMware, but otherwise we haven't had any issues with it. I would highly consider that everyone that has Veeam uses this because it's a great software for productivity. Veeam backup was my rescue tool after a major disruption issue in the network. It turned out that the recovery was solely dependent on Veeam backups. After sweating profusely for a number of days, recovery became reality for me. nothing I have found in my experience with Veeam for my needs. Duplicate backups stored in different places, locations automatically. Recovery of data within a crippled network from malicious events. Very simple solution with a lot of possibility. We replace all currentlty backup solution with veeam. All on demand restore save a lot of time to all of users. Anyway, we have customer which have all possibility to use : oracle, sql, sharepoint, exchange, AD... and there never go back to the old backup solution. Something important is the necessity do not have an agent into VM, so CPU is not taken into the VM, only on the ESX host when create the snapshot, it's more quickly to backup with that solution, more when it's block copy and not a file copy. Not supported NFS and SMB share for the moment, but we hope V10 will did that very good. Also, product is long to start on a lot of server. Not really a problem, just the GUI which is slow. When we a en emmergency, we hope that the server will be start. End support is good but can be ameliorate, sometime they give to us KB and we lost some days to go on the problem. It's not cost a lot if we compare of all time it will be save ! Lost a complete datastore, someone which have delete windows partition of data server. Anyway, a user which have lost data into exchange mailbox one year ago, we use the tape from veeam and restore the email. It take a long time to restore from tape but user what happy and it's the most important ! "Veeam Availability Suite - A technical review"
I have used Veeam for many years in various businesses varying in size from 10 to 500 user environments. The product has come a long way and I find it personally easy to navigate around the GUI interface. I've used it in both Hyper-V and VMware environment and found no issues in either platform. The granular restore versus that of it's competitors such as DATTO and Shadow Protect is far more friendly to use. Mailbox restores, File restores are all easy to access. It would be great if restoration times were faster but I'm sure with time this will improve. Veeam has been pushing hard into the cloud sector and it's nice to see a wide variety of cloud storage options to choose from. The flexibility of using your own backup storage has it's own pro's and con's and it's easy to underspec and bottle neck your own backup environment. DATTO on the other hand is a top to tail solution which takes the guess work out of finding and purchasing your own backup storage. Perhaps Veeam could partner with a storage provider such as QNAP or Synology? The trial offers you the best insight into the product. Try it and see for yourself! Veeam Availability Suite has allowed me to build solutions around a small budget where bigger providers such as Datto would otherwise be cost prohibitive. Veeam has also allowed me to provide replication services without the need of purchasing more expensive VMware licenses. "Best backup for small businesses"
Try a trial and put a single small VM into the system. See if it works for you. We're able to have a trusted backup that barely requires any upkeep. I don't need to do constant testing because I know what we get from Veeam is accurate. The speed of which recovery operates also heavily reduces any downtime we may have. "Best backup software by far"
The new licensing with update 4. Our new vendor requires we buy 10 packs of licenses. So when you get requests to add workstations backup's for 1 or 2 people you cant just purchase the licenses by 1 or 2. You have to buy 10 and sit on the others. After using Commvault and Backup Exec Veeam is so much easier setup and to use that the other guys and make performing reliable backup so much easier. The Veeam suite is very user friendly, in the sense that it is very easy to figure out how to do what you need to do. "Simply the best backup software for virtualized estate"
Complicated backup estate led to reduced control, Veeam solves this and needs little feeding and watering. Complete confidence in DR strategy now. Easy, reliable way to backup virtual stuff. Able to set and forget for the most part. Managing licensing when you only want to backup some VMs vs all can be a bit tricky, but if you pin them to hosts and set the licenses on those hosts, it will work. Works great for on-prem backup of virtual servers. Just be aware to properly licenses if you have automatic v-motions that may move a VM to an unlicensed host. Business continuity. We moved off Backup Exec years ago it is is miles better. "Efficient VM backups at an affordable cost"
After the initial learning of how to set up the product, I found that is has been a breeze to set up a VM - and then feel secure knowing that Veeam is there to recover data if I need it to. I like the brick level backup features most. I have found that after an install of the product on a 2012 server, and needing to uninstall and reinstall, the product does not cleanly uninstall to allow reinstall efficiently. I feel a little more time and effort need to be put into the installer/uninstaller so that this does not happen. I have noted that it's a fast way to recover not only whole VM's but file level content within the VM's easily. "Best backup solution in town!" Veeam is very easy to set up and offers a tremendous amount of flexibility when it comes to backup media. The ability to fire up a VM right from the backup media is also very handy! Veeam is also able to make use of the built-in Windows Server 2012 R2 de-duplication when storing on DASD. This saves an incredible amount of space and allows for longer retention periods. For larger file server restores it can take a very long time to load the media catalog. Technical support isn't terrible but could be better if there were US-based representatives. When logging tickets, their response time is generally good. I am able to backup my file servers and am able to very quickly and efficiently recover them in the event of an issue. I can also use the backup copy job to get my data off site. "Best Backup Software on the market"
It just works. I get good reporting on my backups, as well as the confidence that when called upon, the backups will restore without a problem. Wider support for various Storage Area Networks and Cloud storage vendors for some of the nifty direct tools they have. Everyone I've recommended this software to has loved it and purchased it for their use. This is a great company that is continually informing and educating customers. Affordability and reliability were the biggest problems we had. Veeam was cheaper and better than our last backup solution, and it was an easy decision to move. "Quality Backups with More Options and Less Hassle"
Veeam is extremely easy to use, and introduces some features that were new to our organization. Recovery is simple and allows for single file extraction. We've also had great experiences with customer service. We still experience a few file failures using Veeam. The upside is that running the backup again is fast and easy. Veeam is a very simple, yet powerful solution to server backups. It's speed and cloud backup make it the best solution out there currently. We replaced Symantec due to recent failures and a lack of manufacturer support. Veeam was an obvious choice when comparing features. The backups are quicker, and recovery is much easier and accessible. The ability to easily pull individual files from the backups has also proven useful on occasion. "Reliable. Does what it's supposed to." The e-mail alerts and status updates are very very easy to read making failure or troubleshooting much easier. The interface, though we're using an older version, is easy to use and intuitive. I love that I can use it with hyper-v should I choose to as well as with vmware. It's a bit pricey. To my understanding there is no perpetual licensing option so renewal packages are not my favorite. I have since migrated away from the older version of VEEAM I was using and do manual backups on my new system. I would recommend really making sure that it saves you on the time AND convenience factor. Though - if you're managing any more than a few VM's it's a must! Server infrastructure backup. Easy disaster recovery and on demand recovery. The Veeam Availability Suite is a must have if you're a systems administrator or work in IT. You can quickly restore from a backup if your current server crashes. I have done most restores from specific mails in an Exchange mailbox, to doing full restores of servers for production or test network environments. would highly recommend others to at least take a look at this product. quick backups and restores without too much of a downtime. We have used products before where a restore would take days if not half a day. In our current day and age, there's no time to spare for downtime. "VEEAM Software in ESX Environment"
Fast, efficient. Easy to use interface. Works very well in our ESX 6.x environment. Single pane of glass management of all our hosts and VM's. It was setup by a virtualization integrator so we are simply managing what was already setup. When we were looking at getting more experience and training, the systems engineer assigned to us was covering such a large territory that we had significant difficulty getting post-sales support. We had to rely on the main telephone number for any help. I would like to see tighter integration with ESX management console. Lot's of choices out there. Many bundled with the storage vendor. Leverage that. Snap shot recovery for failback, rollups. We'd like to take more advantage of the software to do remote disaster recovery and business continuity cases. We've been able to recover from bad software updates and OS corruptions so it's saved us a lot of time rebuilding VM's or critical server roles. 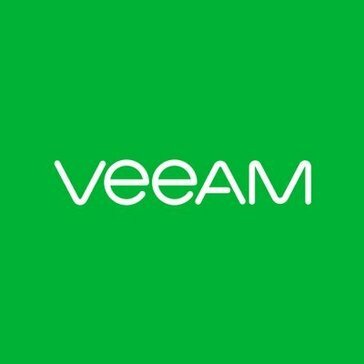 "Veeam is a great compliment to VMWare." Veeam is that extra assurance you need that everything on your VM Cluster is working just as it's supposed to. Add that with the assurance of its great backup tool and it sure helps an admin sleep better at night. You definitely need to fine tune the alerts and settings when you start, otherwise your inbox looks like it's under attach. Once tuned, those provide invaluable information. Trying to manage the uptime and backups on our VM cluster was much more tedious before we got Veeam. "Veeam Availability Suite is protecting our data center efficiently "
"Gonna Ly a back solution that you can trust "
"Great backup software for VMware environment"
This software is designed very well although not always intuitive. The speed of backup is good and even better with supported storage. Creating backup jobs are fairly easy with lots of options. The setup for Veeam can be confusing depending on your infrastructure. More thorough documentation for alternate setups with best practices would be a bonus. Backups on devices not partnered with Veeam can be slow and cause lengthy delays in snapshot removal. If able, purchase storage Veeam has partnered with. We utilize Veeam for Backups and Disaster Recovery for our VMware environment. "Veeam Made our Backup/DR Easy"
Intuitive Interface and granular settings give control and visibility needed to, configure, manage and report on the status of backup/DR in our business. Restrictions on Scale-out Repository to 3 nodes - we'd like 1 more but don't have enough requirement/budget to go to the next license. The Reporting in Veeam ONE makes this product tick all the boxes and help you show your backup status. Veeam Availability Suite helps us not only have Backup/DR - but one that is Monitored and one that actually works when needed. Veeam has worked great for our backup needs. We run hourly replications on two separate VMWare Servers to a "Replication Server." Veeam handles this with no problem. Veeam was very easy to set up and to use on a daily basis. I do not currently have anything negative to say about Veeam. We have used it's Restore features without issue when testing and in live environments. Extremely easy to load a vm snapshot to single item, multiple item or complete restore of multiple systems from files to exchange and sql. The management interface is simple to use, backups can be configured to speed up the throughput on the larger systems. Application awareness for truncating log files. Issues with taking backup of exchange with databases mounted, this has caused the backups to cause the databases to failover and at times stop the VSS that you have to restart the services. It does a great job for small and large virtualized organization. Your IT Staff will love the simplicity and short time to restore. Backing up 100's of virtualized servers daily and allowing a months worth of vm restore points without having to go to the tape archive to locate. With being supplied the correct information it is quick to mount a restore point and dive directly to where we need to restore a single/multiple items, we can restore directly back to the original location or save it in an alternate spot. With exchange you can mount some ones complete mailbox and dive granular, and for sharepoint it will load you the site collection in Explorer view to easily locate and recover. If have even used to recover from crypto-virus that infected our file servers with minimal downtime and loss of information. I like the granularity of being able to restore one file (or a set of folders) from whichever restore point. I'm looking forward to getting 9.5 installed so that we can restore from Nimble snapshots, then we'll have way more restore points available. I also like the explorer for Exchange; I haven't tried the AD or SQL server ones. I bet that it's easier to use the AD explorer than to un-tombstone an object in adsiedit. I think all of my current issues stem from our own implementation, and are things that will be resolved on our end soon. Our current Veamm servers are both on Server 2008, and some of the DBs for them are SQL Server 2005. Because we currently have our Veamm storage from one vendor, up to now we've only been able to back up some machines, and in some ways this has meant that the machines that my predecessors created took precedence simply because they existed at the time Veamm was initially set up. Now we won't have to choose. The business problems we usually get are along the lines of "I accidentally deleted a folder". Any time you can do that, you can potentially stop the productivity loss of all the time that organization employees put into creating that work product(s). There's definitely value to the business there. I could also see using Veamm as a tool for pulling up emails regarding lawsuits, I think for the most part we do that all in Exchange with discovery mailbox, but it's not a trivial task. With 9.5 we'll be using only our primary storage snapshots with Veamm, so we're going to save a lot of money (in the long run) and rack space. I like that we can selectively restore a few items rather than having to re-instantiate the VM as a clone. Up until now, we've only been able to apply Veamm to a selection of our VMs, but now it will be for all snapshots that we've retained. What’s New in 9.5 Update 4? Learning about Veeam Availability Suite? * We monitor all Veeam Availability Suite reviews to prevent fraudulent reviews and keep review quality high. We do not post reviews by company employees or direct competitors. Validated reviews require the user to submit a screenshot of the product containing their user ID, in order to verify a user is an actual user of the product. Hi there! Are you looking to implement a solution like Veeam?